Monroe Misfit Makeup | Beauty Blog: Sponsored: Instyle & Neiman Marcus L.A. Red Carpet Trip for Two! Glam Glow Mud Mask has been on my wishlist for awhile now. It's described as a 'facial in a jar' and is often used backstage at award show's and events. The results are immediate glowing camera-ready skin in 10 minutes or less. Crem De LaMer is heaven on the face. It sinks right in and leaves your skin unbelievably soft and smooth. I use it pre-dates or post-air travel, or in this case pre-red carpet! Lancome Art Liner for immaculate black winged eyeliner. FRESH Sugar Rose Lip Treatment - Prep your lips for lip color with Fresh Sugar Lip Treatment. I already use the original, but the Rose scented sounds divine. Mason Pearson Brushes are a Celeb stylist favorite for creating hollywood hairstyles. YSL Touche Eclat Concealer to brighten and conceal the under eyes. You can never over-do it with Bobbi Brown Powder Blush, the look is always fresh and natural on, I love Pale Pink & Peony. Laura Mercier Rouge Nouveau weightless Matte Lip Color in MOD. A stunning matte red lip is forever glamorous. Don't forget you can shop the must-have products online or at your local Neiman Marcus between Sept. 11th-22nd. to score a gift bag full of the hottest products! After you create your ideal red carpet glam makeup look from your wishlist now all you have to decide is What would you wear? Who would you bring? 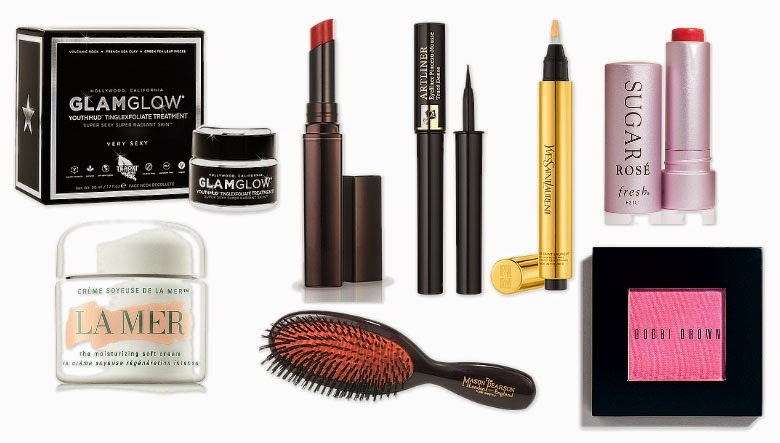 The Instyle & Neiman Marcus Beauty Bag Wish List Sweepstakes runs from 9/5 – 9/22 and you can enter once per day. Good Luck!